We’re so used to hearing about insurance premiums going up, that when they drop sharply, we look for the catch. But when it comes to mortgage protection, the fact that we are living longer, healthier lives has resulted in insurers chopping premiums. If you took out a life insurance policy with your mortgage 10 or 15 years ago, it’s almost certain you’re over-paying for it now, so it’s a great product to switch and save. 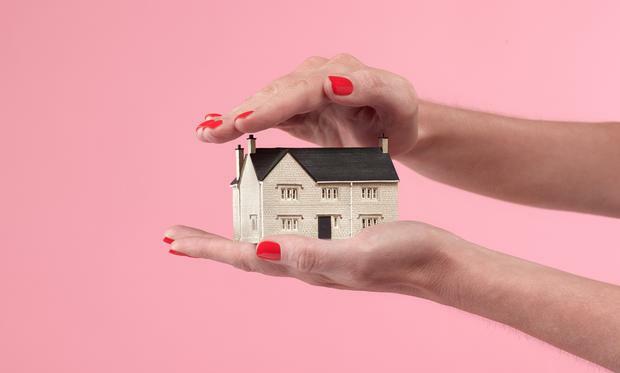 ­Mortgage protection ­generally ­decreases in line with your ­mortgage, and is now the cheapest of all life insurance products. Willie O’Leary, of Clear Financial, a brokerage based in Rathcoole, Co Dublin, explains. “A single, 26-year-old man with a 35-year mortgage, looking for €200,000 in cover, would have paid €15.13 per month in 2006. In 2011, he would have been charged €13.48 per month and in 2016 just €12.29 per month. So, between 2006 and 2016, the premium has decreased by almost 19pc”. For a couple aged 40, who are non-smokers, with €175,000 and 18 years left on their mortgage, they can now expect to pay between €17.31 (Royal London) and €25.29 (Aviva) per month, according to Bonkers.ie which compares policies from different companies. 10 years ago, the cost would have been ­substantially more. Insurers are no longer allowed to discriminate between men and women as they used to, and this has also affected price. However, smokers will definitely pay more, so if your New Year resolution is to give up, once a smoke-free year has passed, you can apply for cheaper cover. In our above example, the same couple, as smokers, would pay between €34.38 and €50.48 — double the price. It’s definitely worth getting a broker to re-quote you. ­Switching means completing a new ­application (health) form, and there may be a GP’s report or a medical ­examination, depending on the level of cover involved. For most people, this is straightforward. The only complexity is that your policy is most likely ‘assigned’, that is, the bank has ownership of it. The reason is that if you were to die prematurely, then they get the ­money, rather than it becoming part of your estate. Assignment is a legal process, but as long as they have a policy against your loan, it should be of no concern to them who it is placed with. However, often banks themselves sold the policies as part of the mortgage so they may resist you changing it. This is not allowed, and is called ‘conditional lending’. So, stand firm and just make sure that the new, cheaper policy is in place before you cancel the old one to ensure there’s no gap in cover. Find out what’s left on your mortgage, amount and term. Ask a broker to quote you for mortgage protection for this. Complete the application forms and have the policy underwritten and a direct debit completed. When it is in place, write to your old insurer and the bank, cancelling the existing policy and outlining the new one to put in its place. Complete the new assignment form for the bank.